Coolest Campus in BC? Selkirk College! Selkirk College has triumphed over some big post-secondary players to claim bragging rights in the BC Cool Campus Challenge. There are any number of reasons that Selkirk College could be considered cool: their commitment to supporting and expanding regional technology training; their integral and continuing participation and support of the local MIT certified fabrication lab and makers space; as well as the initiatives and educational opportunities that help develop curiosity, ingenuity, and innovation in the region’s young people; just to name a few! The campus can now add climate action to its ever-growing list of accomplishments. The students and staff of Selkirk College pledged to take such substantial steps towards climate action that they can now claim the title: Coolest Campus in BC! Throughout the winter our local college embraced the challenge to take personal steps towards lowering energy use setting them above the other participating institutions as a leader in sustainability efforts. To demonstrate climate leadership by reducing natural gas use in January and February, Selkirk joined the University of British Columbia, University of British Columbia Okanagan, Simon Fraser University, Thompson Rivers University and the British Columbia Institute of Technology in a unique climate action pact: turn down the heat, take shorter showers, wash laundry on cold, and add necessary layers – wear a sweater! 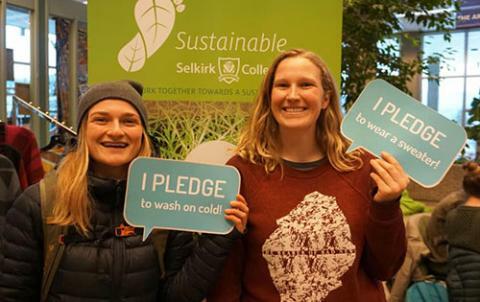 Selkirk College students and staff made pledges and took important steps in climate action during January and February. The efforts have resulted in the college taking the title in the BC Cool Campus Challenge. 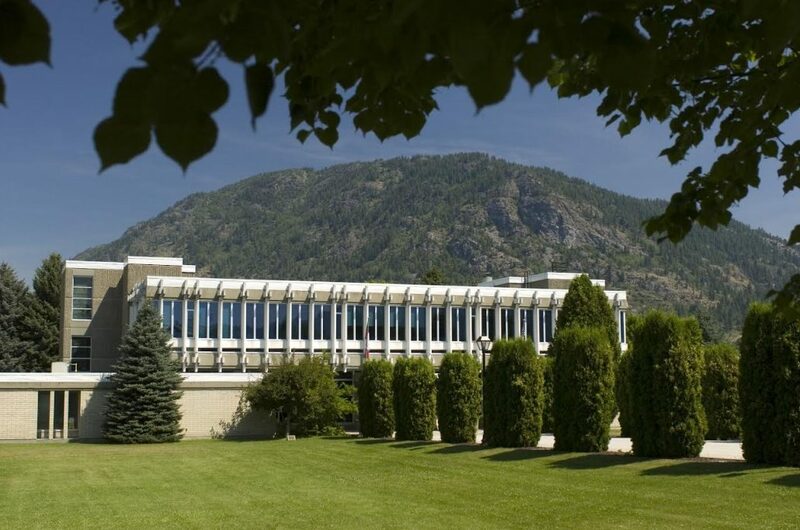 Once all pledges by students and staff were tallied, Selkirk College was at the top of the heap as the school making the biggest proportional impact in the challenge and was able to claim the title of the coolest campus in BC. Collaboration to beat the cold! That February this year was a particularly chilly one makes the accomplishment that much more sweet. Given the more severe cold, students and staff engaged in outreach events and hosted Sweater Days that encouraged the Selkirk College community to focus on even the small, yet significant, steps individuals can take to reduce their energy use. Thanks to the vital support of Fortis BC, the community responded with enthusiasm. In addition to bragging rights, the other participating post-secondary institutions are sending a warm clothing item from their school for Selkirk College to donate to a local charity. Learn more about sustainability initiatives at Selkirk College. http://kast.com/wp-content/uploads/2019/03/Selkirk-College.jpg 848 1280 Tracy Connery http://kast.com/wp-content/uploads/2019/03/KASTLogo-2019-white-lo-1.png Tracy Connery2019-03-21 08:37:402019-03-21 08:50:17Coolest Campus in BC? Selkirk College!